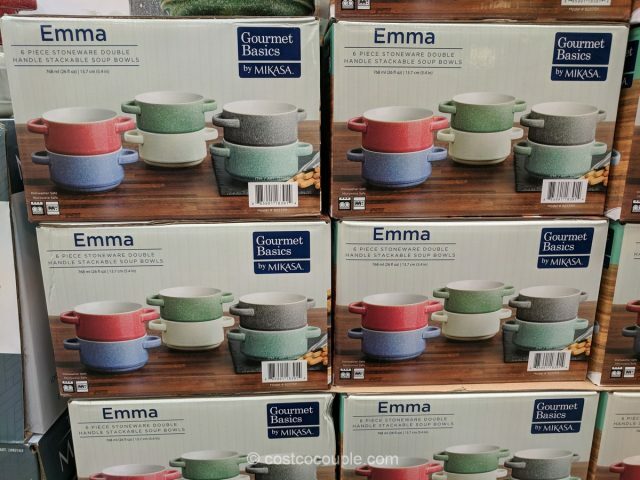 The Gourmet Basics Emma Stoneware Set features 6 bowls that are perfect for hearty, winter soups. 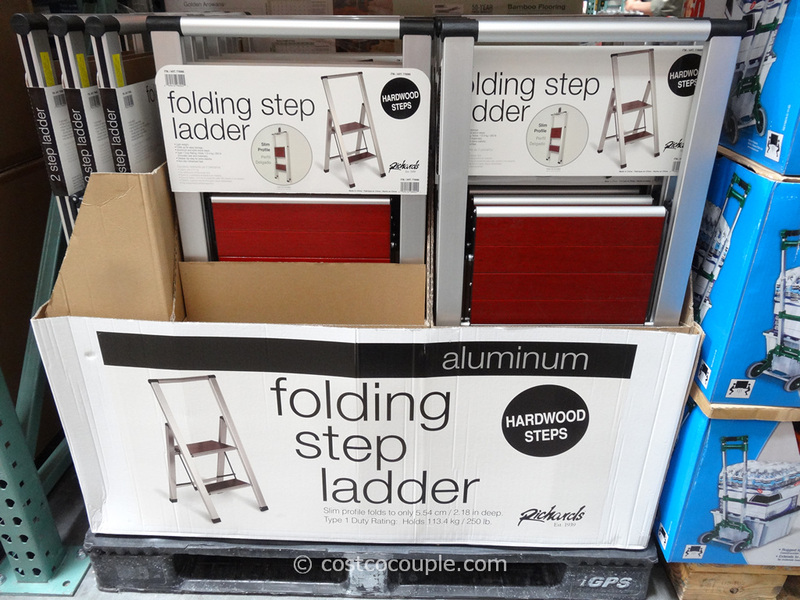 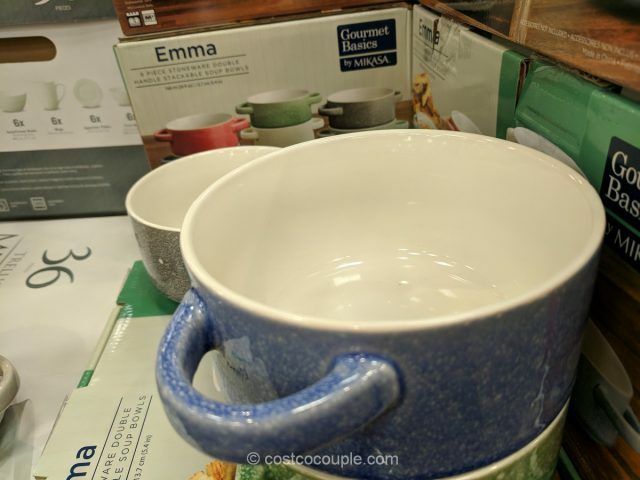 The set includes 6 bowls, each with double handles and are stackable. 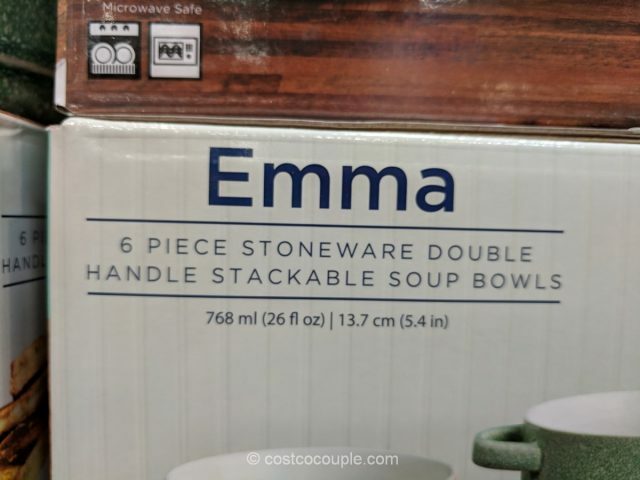 Each bowl features a different color and they are stackable. 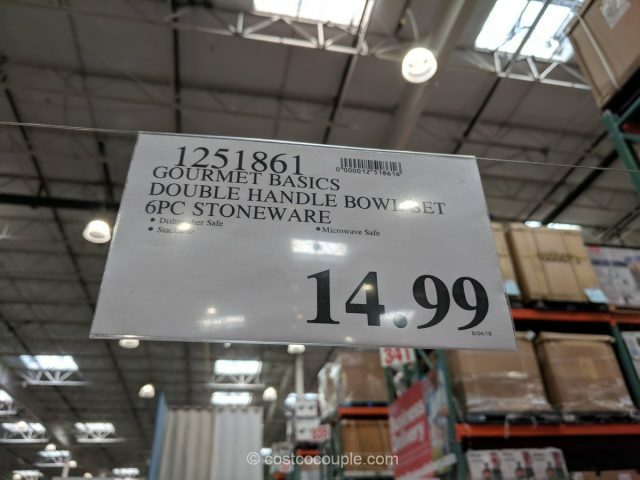 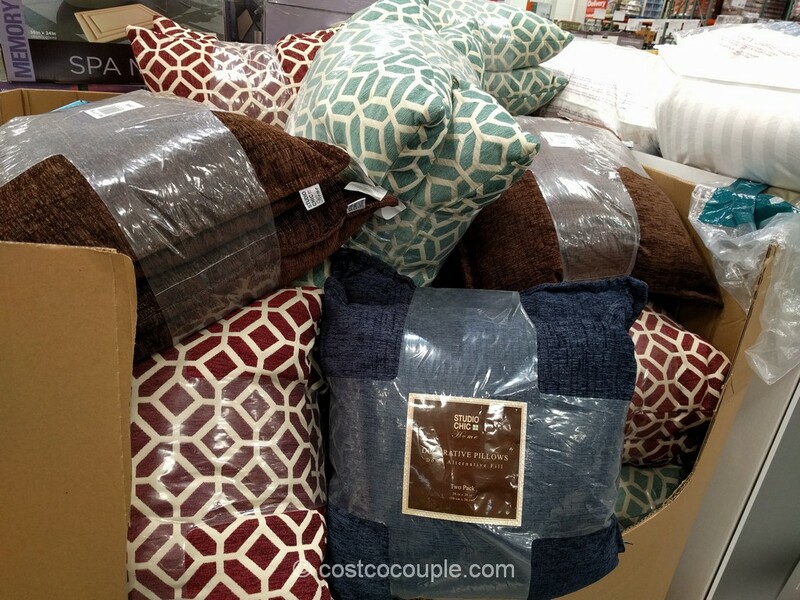 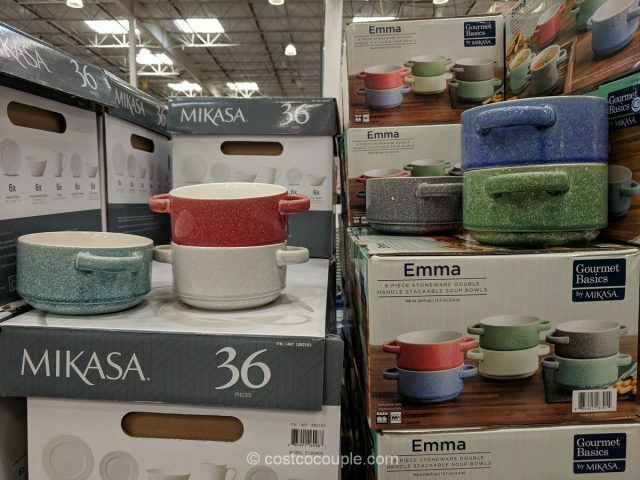 The Gourmet Basics Emma Stoneware Set is priced at $14.99.